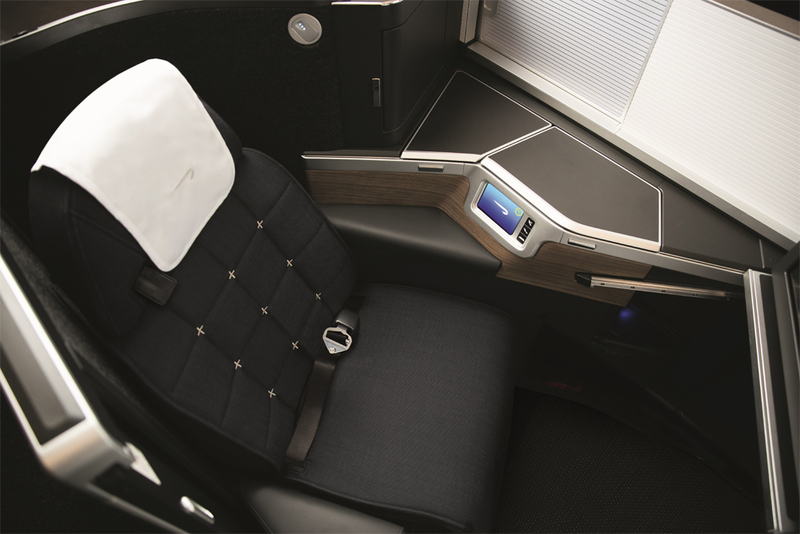 Any news on when Virgin is launching their new seat? According to the Virgin hype it will be the best! If they do away with the need to get out of your seat to convert it to a bed I’ll be happy. Disagree. The very fact that you have to fold the seat over means it is comfortable both as a bed and as a seat. Remove this feature and you risk it being uncomfortable in both configurations – I found that to be the case for Finnair. Quite – it’s about the only chance I get to sit and read and watch films for 8 hours, who wants to talk?!! This seat is amazing! You’ll never please everyone with everything but it certainly pleases me. I’ve just flown back from Denver on 64K and I must say, I found it more comfortable and private than 2A was on the way there. It’s by far the best seat on that plane. Yep, really going to miss it. Was gutted when stuck with 777 recently on 3 flights where I already had 64K selected! Do you get Hilton status benefits booking a holiday through BA holidays or American Express travel? As I saw you do through certain partners. No, only for FHR bookings (unless you get lucky). It has occasionally happened but you should assume not. Assume this will also get rolled out on the 777-X that BA ordered… Shame Airbus has marginally screwed up (again…) on sizing their plane. Looks like Ba has gone to the awful 777 to replace the Jumbos as A350 not big enough. Shame, as the A350 is quieter than anything Boeing will make… I already assume the 777-x will be a bit better than the 777-300/200 but it will remain noisier than anything Airbus makes. Another – has anyone had any luck modifying (shifting back a day) a Marriott redemption that was made pre-Cat 8 creation, without being on the hook for the new rate? I have to fly a day later than planned and hence need to make the change but it’s a lot of extra MR if I can avoid having it repriced.. If anyone has ever had luck, who is the port of call, hotel or MR CS? Have 4 CW return tickets booked to US in the summer. Return flight now has 4 F availability, so I phoned BA who advise £35 change fee pp, but also an increase in taxes of £112 pp. Is that correct? I always thought F and CW had the same taxes and charges. Was trying to save the charge for CW seat. BA pushed up taxes by about £100 on North American routes recently. Thanks – probably explains it. Personally i think that sneaking up of Carrier Greed charges, errr sorry, “taxes” unannounced by British Airways, was unethical. British Airways charges on tickets purchased with Avios have always been higher than almost anyone’s. They must be even higher than Lufthansa’s now, surely? And SIN fees etc are 900+ on the F 241 redemption per person! Hkg half of that, so,it seems to vary with destination. I’ve made a pact with myself not to fly them on long haul redemptions because of the junk fees. I might be swayed with the new CW however. On the topic of BA fees, can anyone explain – just tried a dummy redemption LON – USA in CW. Fee is £666.92. Adding domestic connection to same flights changes fee to £663.74 – why is it lower? Also, when I made the actual booking last week (same flights with connection) fee was £664.64 ? These are the fees after clicking through – not the incorrect fee you see on the initial pricing page. A thought on the price change since last week – some elements of the fees are levied from the US side, presumably BA converts these to GBP so price will change in line with currency movements? Aren’t those sort of small changes likely due to currency movement given some of the taxes on that route will be in USD and need to be converted to GBP? How exactly does this compare to know with the number of seats available? 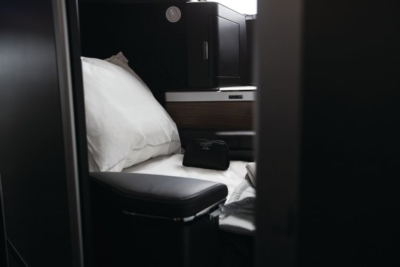 Less space needed lengthwise, as feet are now under the pax in front of you. The current seats stretch out to 6ft. So they can fit far more than thought. Indeed they could have done even better density, which we thought they would, and go for the Waterfront, 2-2-2, all with aisle access. We don’t know. However, taking Qatar as an example, the old 777 has 48 rubbish seats (2x2x2) and the new one has 42 Qsuite. Roughly 10% loss of capacity will be more than compensated by improved yield. The jury is out on this until e actually have the seat in place, but I have to say I don’t like the foot cubby hole – nor the fact that the seat is likely to be lowered to the floor in order to make it flat! This happens on some of the AirCanada business class seats and I never put them flat. I HATE having my feet in a cubby hole – brings on a mild panic attack that I won’t be able to get free in a hurry if I need to. And the lowered seat means you will feel every movement of trolley and feet as they go past. Not a good idea. Give me Air New Zealand business premier everytime. I do look forward to the cubby hole, but I have watched the film and the seat does not seem to drop when it flattens out. Or even on the ground. Was flying LHR-VIE Saturday and a woman in the row behind me started screaming. We were only taxiing. Someone mentioned in another place they sat on one today at T5, so is there one to try out somewhere there? There is one in Waterside it seems. 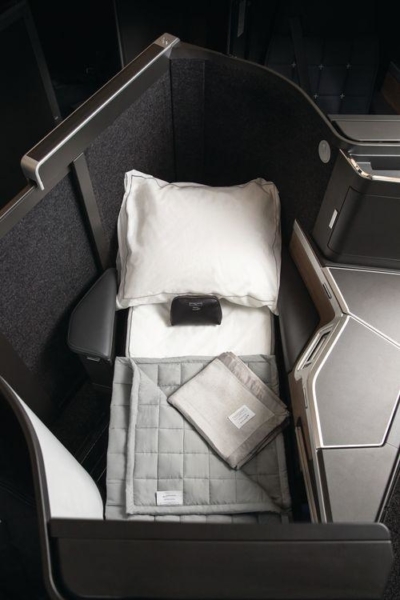 I have an email from BA for seat changes to my LHR-DXB booking for mid January. I was in seat 64A on the 747 but now changed to 1A and seat configuration is 1-2-1. This seat will make me worry less about retaining status – which I’d already decided to drop. I have mainly redeemed LH in First in the past – I’ve continued to do so partly because you don’t have to shell out to choose your seat as you do in CW (without status – slipped to Bronze the shame!) which frankly rankled. TBH once this seat is up and running I won’t much care which seat I get or whether I’m sat next to my travelling companion. I certainly won’t pay for the pleasure. Add to this the Plaza Premium lounge in T5 and the forthcoming Amex Lounge in T3 for Y flights SH and…..well no I don’t need status. Happy & Sad at the news. 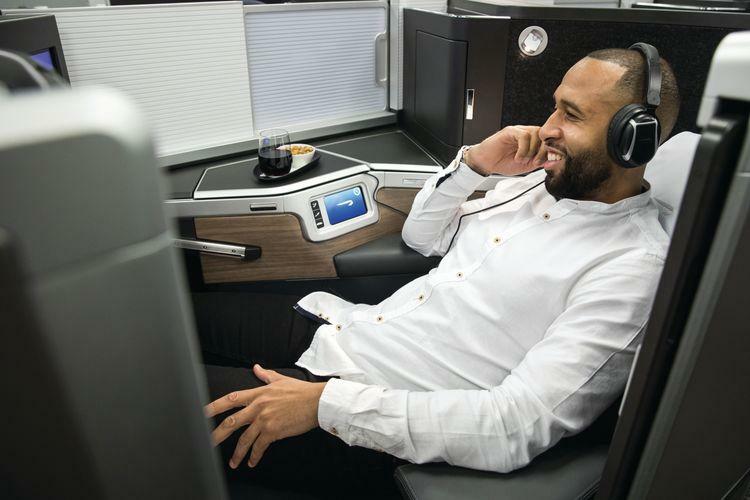 Happy as someone who is privileged enough to travel enough to experience at least 6 One World airlines a year, BA from a single flyer perspective looks to have finally caught up. Direct isle access, storage, quality seat, sheets, duvet and improving food. Home lounges of every airline should always be headliners. The Pier in Hong Kong, Qantas in Sydney, Qatar in Doha, Galleries in T5 for example. Albeit Qantas seem to be the best all round performers wheb outside of their home nation. So BA are not miles behind there. Sad however as someone who uses the privelege to share with friends and family, BA’s quirky setup serves as one of the best family setups. Travelling quite a lot during school holidays you see mothers/ fathers and young children holding hands in the middle seats. Toddlers learning to fly with the safety of their parents next to them. Older couples sharing moments together on once of a lifetime trips. Only Qatar Q Suites and interestingly Singapore reverting in their new launch to offer this. 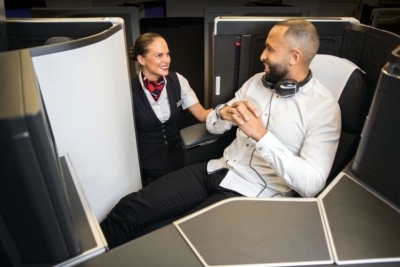 Most Premium Economy Cabins (Air NZ now sadly included) fail to offer this service as they have hard barriers between seats. If only there was a middle ground. I wouldn’t say Galleries T5 is anything to write home about (either First or Business), and same for the Qantas J class lounge in Sydney (which is very lacking in food). Personally, I think the CX T3 lounge (J/F) is better than the equivalent BA T5 lounge even though it’s not a home port lounge. My 9yr old av-geek son had an exciting idea regarding Rob’s VR Tour at BA, which presents an opportunity for the leisure traveller to save plenty of time, stress and money. Simply get hold of a VR headset and this presentation, turn it on in the comfort of our own homes, and we can immediately spend many happy days ‘flying all over the world’ in this wonderful new cabin, with zero risk of IROPS, and still be home for supper.